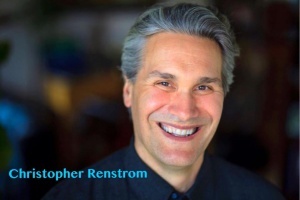 The AOA is proud to present Christopher Renstrom at our April 9, 2018 meeting for a two-hour talk on the art of using Ruling Planets in astrology. For more information about Christopher, check out his website: RulingPlanets.com. Register to attend on our event calendar, here. The fee for the evening is $5 at the door for non-members. There is no charge for members. If you would like to become a member of the AOA you can do it here. Below is an introduction to Ruling Planets from Christoper Renstrom’s book, Ruling Planets. But a child that’s born on the Sabbath day is fair and wise and good and gay. It was the Romans, the great believers in patrons, who named the days of the week after the planets in the sky. They believed that anyone born on that particular day would inherit both the planet’s personality and sponsorship—in effect becoming a “child” of that planet. Monday belonged to the Moon, thus “fair of face” referred to the Moon’s silvery complexion. Tuesday was associated with Mars, a planet named after the god of war, who was a prized by the Romans for his athletic grace and prowess. Wednesday was identified with Mercury, and the child “full of woe” was the recipient of this planet’s quick mind as well as the nervous tendency to worry too much. Thursday was Jupiter’s—the planet of long journeys and adventure (as attested to by the wide reach of the Roman Empire). Friday was Venus’s, the planet of love and pleasure and revels—which is still commemorated today with the phrase: T.G.I.F. (Thank God it’s’ Friday). Saturday was Saturn’s—the planet of toil and discipline. Finally, the Sabbath was the Sun’s day, and we all know that anyone said to possess a “sunny” personality is going to be cheerful and upbeat. Yet this pantheon of planetary days was itself borrowed by the Romans from an even older astrological tradition that apportioned the calendar year into planetary rulerships. At the heart of the year stood the Sun and the Moon—the two brightest and closest “planets”. It may be odd to think of the Sun and Moon as planets, but to ancient astronomers, Earth and the heavens were seen as fixed in place, and it was the planets that moved. Sometimes they moved forward. Sometimes they moved backwards. Some were fast. Others were very slow. One night the planers might be spread out across the sky, and on another evening they might be clumped together in one spot. This erratic behavior fostered the belief that there was a greater design to their movement. After all, if observing clouds, tidal flows, and sudden changes in the wind foretold of approaching weather conditions, why wouldn’t the same hold true with the planets? Perhaps the planets were somehow trying to communicate something to us through their actions. And if only we could understand them, then we would be that much closer to comprehending how life was supposed to work. Thus it was the planets’ movements through the sky that influenced life down here on Earth. The Sun and Moon were seen as exerting their strongest influence in summer, so they ruled the months of July and August, when days are long, nights are warm, and the earth is bursting with life. Mercury ruled the two months flanking July and August, Venus the two months next to those, then Mars and Jupiter. Finally Saturn, he slowest and most distant planet (at least to the naked eye), was assigned rulership of the winder months, December and January, when nights are dark, days are cold, and the earth is barren and hard. The emphasis on the Ruling Planet is what’s missing from today’s astrology books and newspaper columns. Traditionally one’s Ruling Planet was regarded as a kind of patron saint, a celestial entity that watched over those born under its influence. Your zodiac sign is static, whereas your Ruling Planet will always describe what’s going on in the heavens vis-à-vis you, because it is in constant motion. Is it traveling through a part of the sky that presages difficulty or is it signaling a time when you’re shedding old ways and yearning for something new? If you think about it, it’s not unlike charting the growth of your mutual fund. Keeping tabs on your Ruling Planet allows you to keep a lookout for what’s happening in your life.